WIRED is the essential source of information and ideas that make sense of a world in constant transformation. The WIRED conversation illuminates how technology is changing every aspect of our lives — from culture to business, science to design. The breakthroughs and innovations that they uncover lead to new ways of thinking, new connections, and new industries. WIRED reaches more than 30 million people each month through WIRED.com, the magazine, social media, and live events. WIRED strives to stay as innovative as the technology it covers — they needed the ability to make and deploy changes themselves to their content delivery solution in real time. This ensures that their readers see the most up-to-date articles while their team maintains site performance. They recently redesigned their entire site, and turned to Fastly for “more granular and quickly implemented control” over their CDN. Fastly enables WIRED to keep pace with the modern editorial cycle, matching the speed at which WIRED editors publish about the latest in tech. 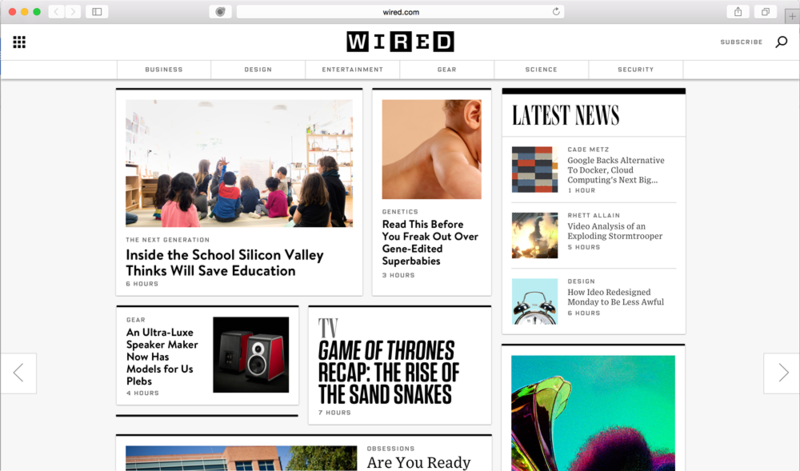 WIRED launched a new website in early March 2015, their first major redesign since 2007. The team’s goal was to build a smarter, more beautiful website that mirrors their future-focused reporting. Their redesign incorporates more video, photos, and artwork, creating a visually rich storytelling experience for readers. 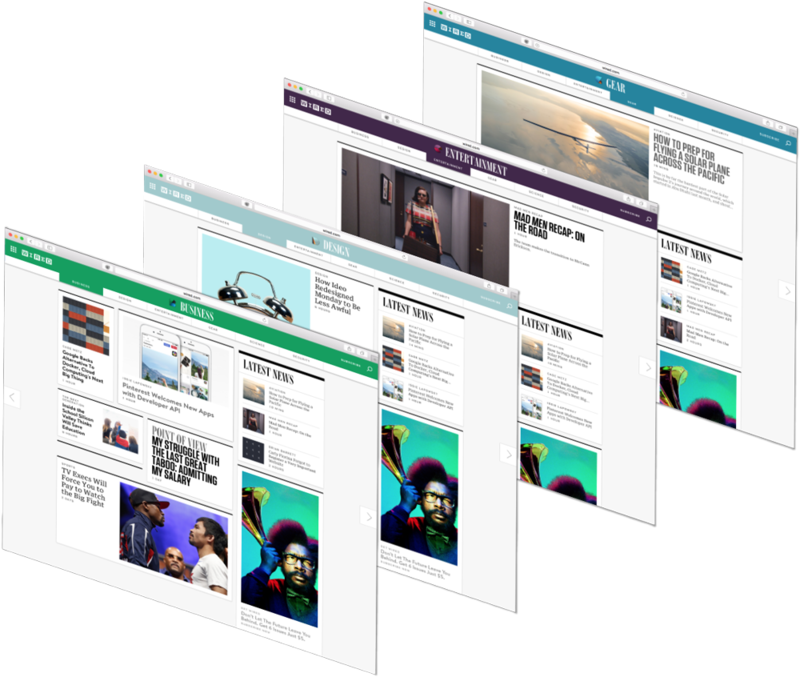 The new WIRED.com loads faster, allows editors to make instant updates to articles, and increases reader engagement by offering curated content with quick-scan headlines and a unified experience across devices. WIRED included Fastly in their redesign to speed up page load times, ensuring that their global readership sees the latest updates as they happen. 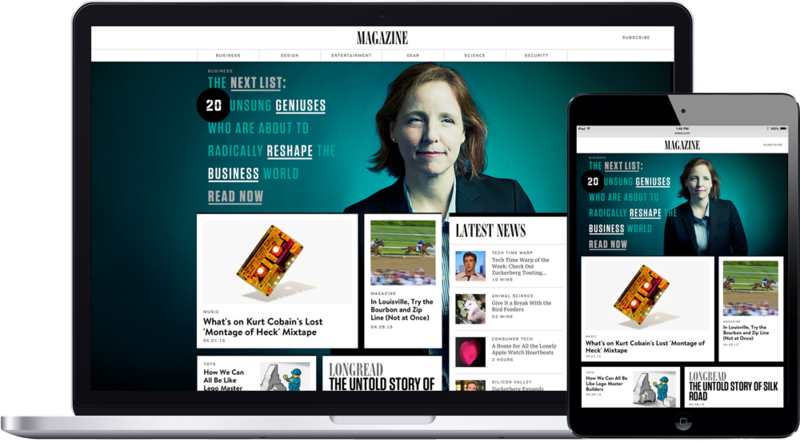 WIRED moved to Fastly in the midst of revamping their entire site. Fastly’s knowledgeable and accessible support team helped ensure an extremely smooth transition — they were available to WIRED in person, in chat rooms, and were on call the day of the launch. When WIRED discovered issues with their previous CDN’s configuration in the midst of a high-traffic event, causing them to serve readers 503s, they couldn’t fix the issues in real time. WIRED’s team identified the rules that should be put in place to resolve the errors, but they were required to engage their previous provider’s professional services team to get them implemented, and the changes would not go into effect for hours. Fastly lets WIRED make and push configuration changes instantly and without restrictions, allowing them to adapt quickly to events in real time. Fastly offers WIRED easy, real-time updates to their configuration while giving them the ability to cache frequently changing, unpredictable content — and therefore cache a greater portion of their site. This reduces the number of requests to WIRED’s origin and allows them to serve more content from the edge, improving performance for their readers. 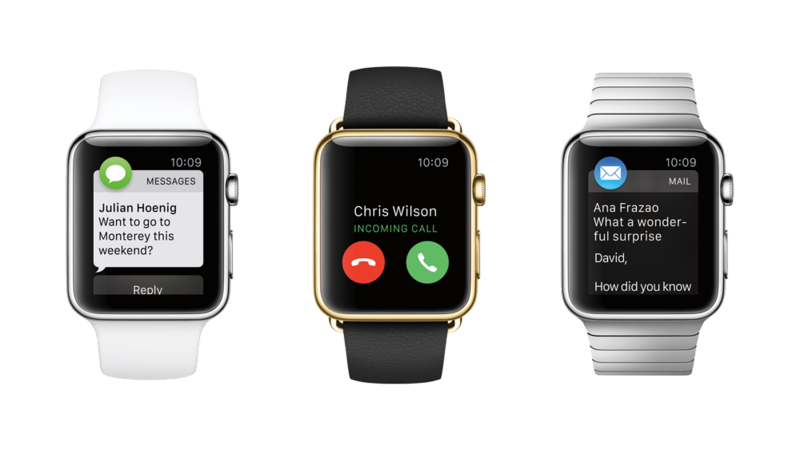 WIRED hosted a live blog during the highly anticipated Apple Watch announcement. 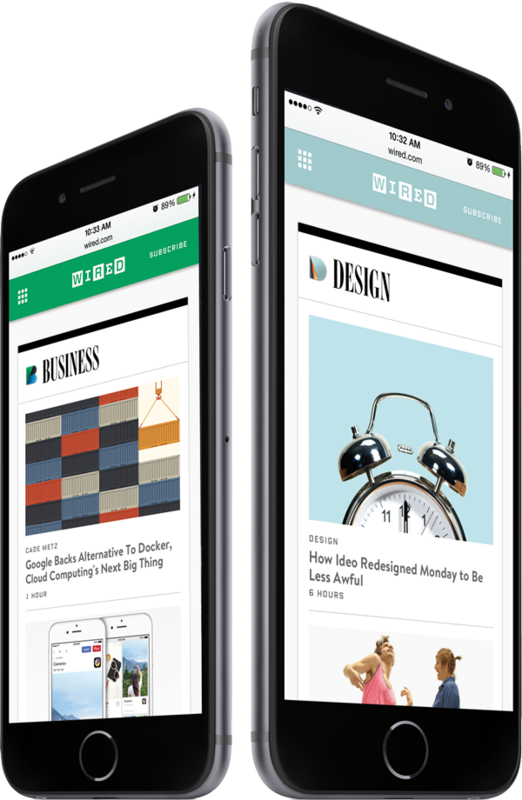 Because this was a major event for the tech community — and, therefore, for WIRED’s audience — it was critical for them to provide their readers with the latest updates while effortlessly handling a significant spike in traffic. To do this, the WIRED team relied heavily on Fastly to aggressively cache static JSON files — the content of the live blog — allowing them to serve it directly from the edge. To ensure that readers were seeing the most recent updates to the live blog during the Apple Watch event, WIRED set the live blog’s time to live (TTL) to 15 seconds — content would only be cached by edge servers for 15 seconds before it needed to be revalidated by origin. WIRED used Fastly’s stale-while-revalidate feature to serve readers slightly outdated content while the cached content was refreshed, making sure readers never saw errors. Stale-while-revalidate, in combination with request collapsing — which causes simultaneous cache misses within a single Fastly data center to be “collapsed” into a single request to origin — gave WIRED the confidence to include a dynamically changing homepage in their redesign. Previously this would have caused a significant load on their servers, but now they can generate their homepage with a single request rather than creating a buildup of requests and taxing their servers.